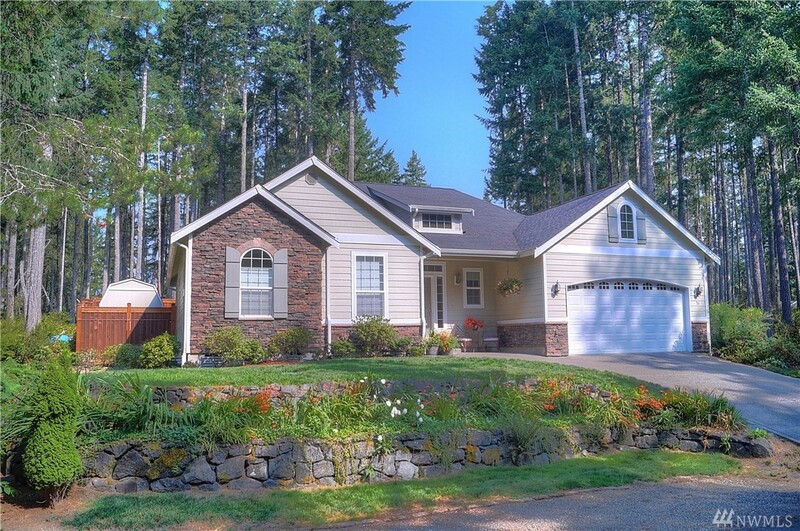 Immaculate home in a quiet section of the Alderbrook neighborhood. You will love the well thought out floor plan with a large master suite, very private guest room, and a great office near the entry. Vaulted ceilings over the living room and tall windows take advantage of the completely fenced back yard. The kitchen over looks the living and dining. The covered patio allows you to enjoy the outdoors year round. Alderbrook Golf Course is consistently rated as one of Western Washington's Best!